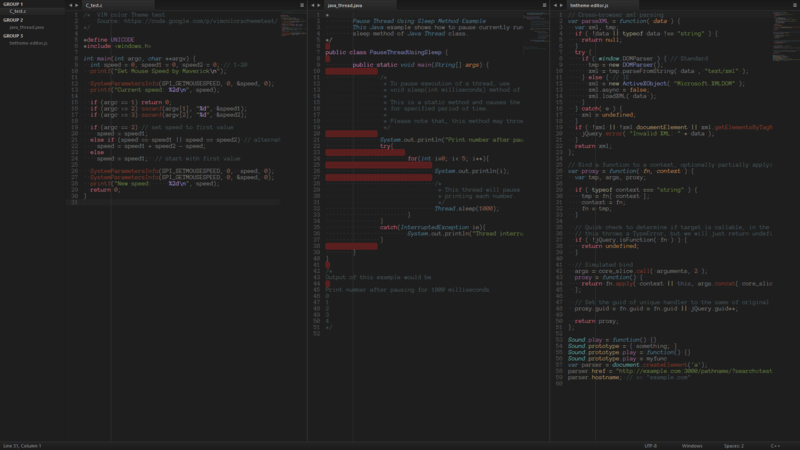 A very dark theme for Sublime Text 3 based on Soda. This is especially suited for nocturnal or photophobe developers. Petroleum theme is designed to work with the latest verion of Sublime Text, Sublime Text 3. The Petroleum Theme package is listed as Theme - Petroleum in the packages list. git clone https://github.com/ociidii-works/theme_petroleum/ "Theme - Petroleum"
Add (or update) your theme entry to be "theme": "Petroleum.sublime-theme"
Petroleum Theme suppports the same alternate UI styles proposed by Soda Theme. Sublime Text provides an elegant way to tweak existing themes without having to duplicate or maintain a separate copy of the original theme. If there are aspects of Petroleum Theme that you would like to adjust, take a look at the theme customisation wiki page. We recommend using Pastel-Paws (Petroleum variant) as a color scheme since they are meant to be used together. Petroleum is licensed under the Creative Commons Attribution-ShareAlike 4.0 License. You are free to share and remix the theme, however please abide by the license terms when doing so. Naming guidelines: If you create and distribute a derivative theme, please give your theme a unique and original name that does not directly include “Petroleum Theme” (or a close variant) in the main project title, repo name or Package Control name.